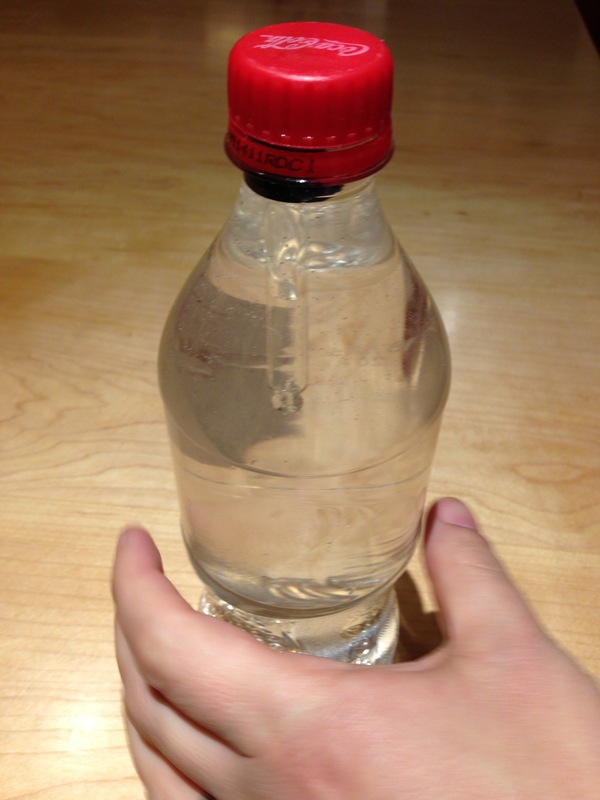 By squeezing a bottle of water, make an object rise and fall inside it. Fill the bottle with water, to the brim. Fill the eye dropper half full with water, until it just floats in the top of the bottle. Top up the bottle with water and cap. Squeeze the bottle to make the pipette sink. Release to make it float again. 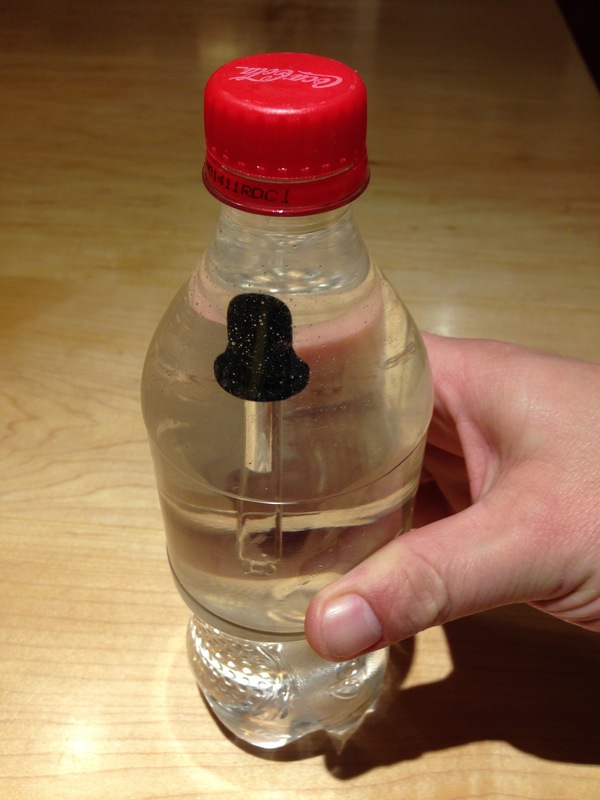 When the bottle is squeezed, air is compressed in the dropper as water enters it. This makes it more dense, so it no longer floats in the water. When the bottle is released, the water leaves the pipette again, the pipette contains more again and is therefore less dense again, so floats. Human divers use weights to increase their density when diving. Lifejackets decrease density, to enable a person to float better. Submarines use tanks of compressed air to control their buoyancy. When ballast tanks are filled with water, the submarine sinks. When the ballast tanks are filled with air from the tanks, the submarine's overall density is decreased so it rises. Idea to elaborate - make the diver with a pen cap and clay, and make it hook paper clips from the bottom (file in photo folder).